On Thursday night Donald Trump broke the news on Twitter that Ford Motor Company was keeping its MKC production in Kentucky and not moving it to Mexico. Trump tweeted the news after his discussion with Bill Ford, Chairman of Ford. On Friday the liberal mainstream media attacked Trump over the news. 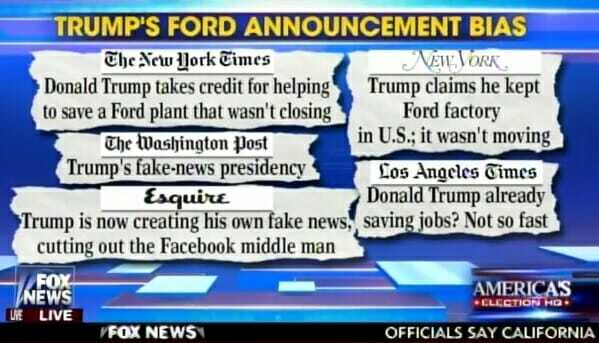 The liberal DNC media said Trump was not responsible for Ford’s change of plans. They are grasping at straws now folks. And are nothing more than mouthpieces of the DNC.